Collagen is a protein. When you ingest collagen, your body breaks it down and simply uses it as food – just like it would if you ate chicken, fish, steak or any protein. You see, inside your body, all proteins, like collagen, get broken down into amino acids. You have no control over how your body uses those amino acids. Your body cannot distinguish between the amino acids that came from last night’s meal or from this morning’s dose of collagen powder you may have tried. The key to adding collagen is to activate the cells in your bones that generate collagen. The difference between smooth skin and wrinkled skin is the amount of collagen. Wrinkled skin contains fewer collagen fibres. That creates “gaps” between the fibres causing the skin to literally “cave in” – leaving behind a wrinkle. Fortunately, BioSil has the ability to increase your collagen formation. This greater quantity of collagen pushes the skin up and out, “plumping’’ out the skin, creating smooth, soft skin. That’s why BioSil is clinically proven to reduce fine lines and wrinkles by a full 30.0%* – in just 20 weeks. The amount of collagen (quantity) plays a vital part in skin elasticity. But equally important is the ‘‘pattern’’ the collagen fibres form (quality). With aged skin, the collagen pattern tends to be more ‘‘one-directional’’ (anisotropic). This ‘‘single’’ direction pattern is what causes skin rigidity, loss of elasticity, and ultimately skin creasing. In young skin, the pattern of collagen is ‘‘multi-directional’’ (isotropic). This ‘‘every-which-way’’ linking is precisely what helps to prevent skin wrinkling and creasing. BioSil not only increases the quantity of collagen, but helps it form into a tight “spring-like” mesh. That’s why in the clinical trial, BioSil increased skin elasticity by an astounding 89.0%*. Keratin is the protein that makes up 97.0% of hair. BioSil ensures an abundant flow of growth rich nutrients that optimize the keratinization process in your hair. That’s why in clinical trials, BioSil thickened hair by 12.8%**. How strong your hair is depends not only on the quantity of keratin, but also how strong the “bonds” are between the individual keratin proteins themselves. That’s the reason why BioSil strengthened hair a full 13.1%**. As with your hair, your nails are made up of keratin. The problem is keratin production declines starting at age 21. But there is a solution. BioSil creates a blood flow that optimizes the production of keratin. That’s why BioSil is clinically proven increase your nail’s hardness†. The subjects in the BioSil clinical trial reported that their nails became strong and chip resistant! DID YOU KNOW most collagen powders contain ground animal parts? BioSil is completely free of animal parts and suitable for vegetarians/vegans. BioSil is also non-GMO and gluten free. About the Author: Assured Natural Distribution Inc. 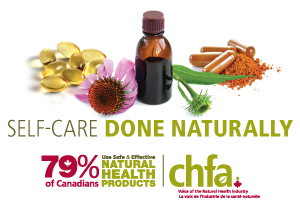 Assured Natural Distribution Inc. is a Canadian-owned and operated company that provides exclusive high-quality products to Canadian Health Food Stores. Assured Natural ensures excellence in customer service, product knowledge, and premium-quality brands.